A greenhouse is also called a "forcing structure", that is, an artificial environment in which plants are "forced" to grow, despite harsh outside climate. The minimum requirement for any greenhouse is that it allows warmth and light to enter, providing a microcosm climate favorable to plant growth. But how does a greenhouse work? Every greenhouse operates on a simple physical principle called "the greenhouse effect". Sunlight passes through transparent or translucent materials such as glass or plastic. When it strikes an opaque surface inside (plant leaves, greenhouse floor, planters) some of the light energy is changed into heat. The darker the surface, the more heat is generated. The greenhouse panels are good at transmitting light, but not heat. Therefore, most of the heat stays inside. And that is how a greenhouse works. 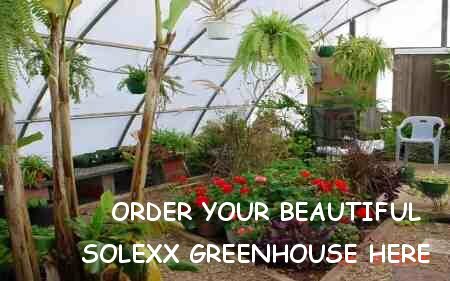 A greenhouse allows you to maintain the proper temperature and light conditions for optimal plant growth. For any greenhouse, the sun should be the primary heat and light source. If we all lived at the equator, the sun would provide all our energy needs. But in many areas, particularly cold or rainy climates, supplemental heating and/or lighting may be necessary to sustain greenhouse growth. Don't forget the "enjoyment factor" this stress-free personal retreat will provide. Active plant growth produces more heat and also humidity to build up. Greenhouse vents and sometimes fans are necessary to exchange gases, cool and circulate the air, and drop the humidity level. Water and fertilizer provide plants with the energy they need to grow. Your goal for your greenhouse is to keep the temperature, light, humidity, and nutrition parameters within the ranges preferred by the plants you want to grow. 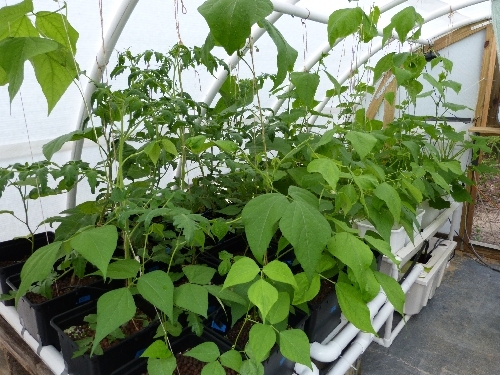 Interested in Passive Solar Greenhouse methods?